Homes for sale in Springs Of Cambridge will appear automatically below when any REALTOR® lists an Springs Of Cambridge home in the Indianapolis Multiple Listing Service (MLS). 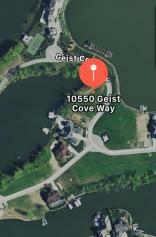 Literally one of the LAST lake front lots on Geist Reservoir, and in The Springs of Cambridge! You will have access for your own dock in one of the most secluded and private coves on the lake. Over ½ acre for you to build your breathtaking dream home in one of the most prestigious neighborhoods in the entire Indianapolis area. Enjoy beautiful sunrises and sunsets with exquisite water views, as well as all the wonderful amenities the neighborhood has to offer. Experience Top-Rated school systems, waterfront park, children’s park, sports fields, basketball courts, supreme location, security, access to the Geist Harbour Boat Club, and much more! One of the LARGEST lots that is completely clear with all utilities available. Incredible value! Awesome one of a kind lot on Geist. .52 acres ready for your dream home. This home will always have perfect water view from the front as well as the rear. Large bay to the front and rear of home. Lots of water frontage for docks, beach or waterever you want. This is what you have waited for. To see inside any Springs Of Cambridge homes for sale or Admiral Bay Real Estate for sale call Indianapolis Real Estate Broker msWoods at 317-578-3220 for their recommended central Indiana REALTOR®. The Springs of Cambridge subdivision is located on the northside of Geist, Indiana.